Having ran a successful business for over 35 years and having attended almost every major DJ show, expo, and confab out there along with hundreds of conventions related and unrelated to our industry, I get called both a trade show junkie and an expert. I know what it feels like to really be in a room of well over 3000 people that are all focused on a person that is just explaining the best way to answer your business phone and how it feels to be one of ten people in a seminar wondering if the others in the room are questioning their sanity. I have been on expo floors where people from China are selling goods for pennies and where people from Germany are selling half billion dollar roller coasters. I can divide these shows into a few small categories. You go to learn how to better your business and make more money. 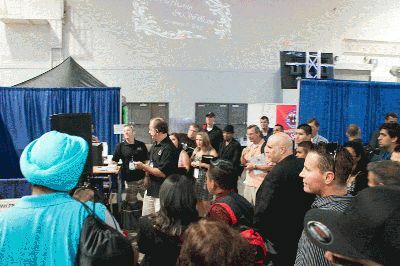 This is the show you attend to get ideas to expand and grow your business' offerings. This is the show where you know everyone and everyone knows you. It's like a family reunion. This show you attend just to see, play, and maybe buy new toys. In speaking with DJs, I have found that they either want a show with education and ideas to help their business grow, a social show with lots of toys to play with, or they really don't know what they want. 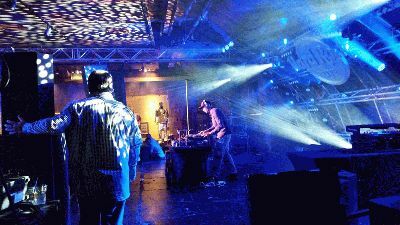 Those that don't know what they want are usually stuck in a pattern of attending the same show or shows over and over because it's the show they have attended forever, kind of like the DJ that plays the same song, uses the same shtick, says the same intros and wears the same clothes for events year after year. This all because they have done it forever, feel no need to shake things up a bit, think times never change, and there can't be a better way to do things. Times have changed when it comes to DJ shows and if a DJ is serious about their business... about making money and providing for their family, it's time to put on their big-boy pants and start thinking about how to take their business to the next level. I have always been a proponent and supporter of things that make our industry stronger and better. That is the reason I started the free online DJ magazine DJzone when my son was born over 16 years ago and operate the largest online information sharing resource, DJchat.com. 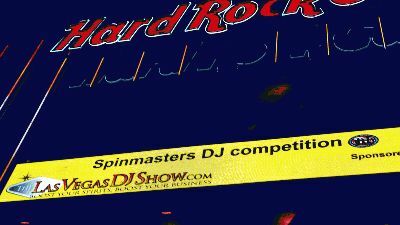 When I attended my first Las Vegas DJ Show, I thought it was going to be a "ra ra" campaign for ADJA members and a way to convert those that were not yet members. I was pleasantly surprised to find it was a DJ show rich with educational content with extremely high quality meat and potatoes seminars. This year it was even better. The regular seminars and premium content were amazing. The take home points from my first seminar far outweighed any seminar at a DJ show I had ever attended. Matter of fact, Paige, my wife, was amazed that she took up to 2 pages of notes in each of the seminars she attended compared to the half page she took in ALL the seminars at any previous DJ confab. The "I state your name, lucky, I was a WWF, former boxer, former car salesman, former multilevel marketer", was gone and real information was exchanged. It was truly refreshing. The simple fact that there was a DJ show that was built 100% from the ground up with the advancement of your DJ business in mind has made me a believer. Yes I heard the cry, "You get what you pay for." Well, sometimes you get more than you pay for. You know that saying, "under promise and over deliver"? Face it, DJs are cheap (thus the low price of the LVDJ Show). To be able to offer a show so rich with diverse content, ideas, a great social hookup with the industries top players, and a place to play with the "toys" at such a low price was a huge gift to every DJ out there. Look in the mirror, ask yourself, and be honest, "What am I getting out of the show I attend each year other than a short vacation where I can hang out with my friends. Is the money I spend really helping my business?" My suggestion, if you want a vacation, try doing it with family or somewhere other than a DJ show. 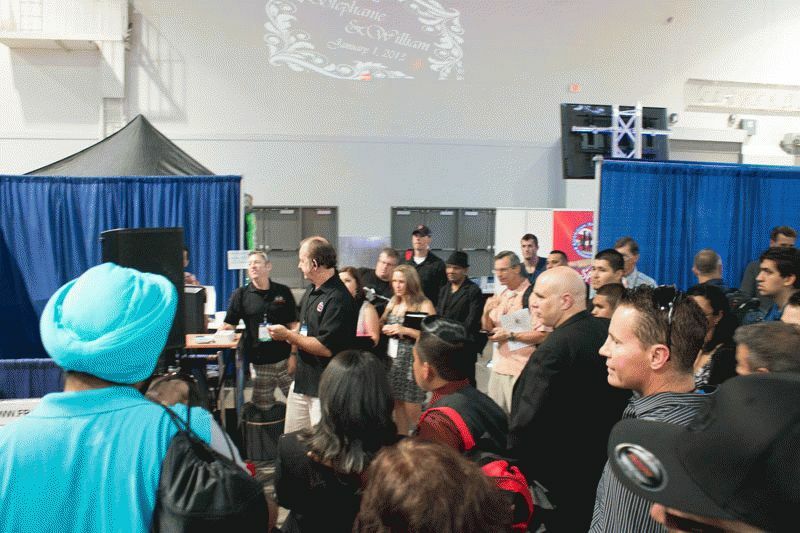 The sheer lineup of seminars and workshops at the Las Vegas DJ Show was astonishing. No other DJ confab on the planet has ever provided so many educational choices. Every detail of the DJ business was touched upon by the nation's most successful DJ company owners and educational business speakers. I could not get over the variety of options. Other than a break for lunch we were non-stop. If you survived the heavy load of activities Dr Drax had a line up nighttime activities including VIP treatment for attendees at the Marquee danceclub, discounts on Vegas shows and a huge private party for attendees at the Hard Rock Cafe. This was the cherry on top of the already overflowing sundae. You see, Dr Drax understands what this industry needs and has yearned for. It's about what a DJ business owner takes home from a show, not about shoving an agenda down their throats. Our industry is as diverse as the music we play. There isn't a single one-size brush that you can use to paint it with and that is why the Las Vegas DJ show almost doubled in size this year and will continue to grow thanks to Drax and his team. In closing, mark my words, when it comes to other DJ shows, there will be a lot of scrambling over the next 6 months that will be touted as a "big move", but in reality, it will be like calling the Macarena a new song to play at your events because it will be, "been there, done that". Hopefully there will be enough DJs out there that can understand what my Daddy used to say, "You can put lipstick on a pig, but you still have a pig." With respect to those that don't eat meat, the LVDJ Show is serving bacon and we know everything goes great with bacon.